Martial Arts are as old as human history and are practiced in nearly every culture. In this multi-part lecture series, Daniele Bolelli traces the global history of fighting technique systems and their associated philosophies, from the origins of boxing and wrestling in ancient Egypt and Greece through the elaboration of complex combat systems in China, Japan, Korea, southeast Asia, and Brazil to today's worldwide phenomenon of mixed martial arts and the Ultimate Fighting Championship. 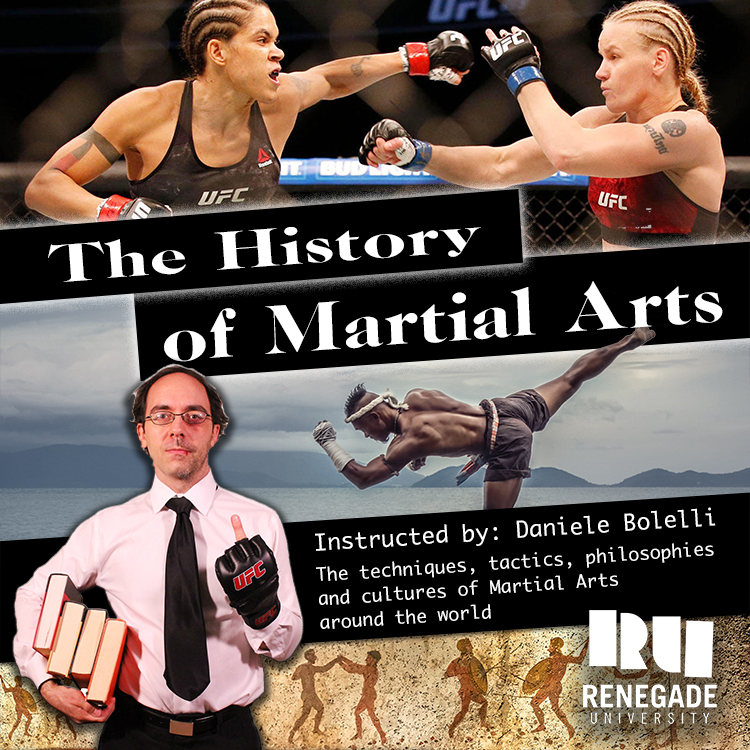 Daniele examines the development of grappling, striking and weapons techniques and combat tactics and strategies as well as the cultures and systems of thought of different Martial Arts across the globe, from the ancient world to today. Daniele Bolelli is a historian, university professor, martial artist, host of the History On Fire and Drunken Taoist podcasts, and the author of one of the all-time best-selling books on the history and philosophy of martial arts, On the Warrior’s Path: Philosophy, Fighting, and Martial Arts Mythology. Full Lecture PLUS Live Virtual Seminar with the instructor, Daniele Bolelli. A link to the live webinar will be sent by email to course registrants.